There are numerous unresolved questions about the life of William Wells (c. 1605-1673) of Southold, Long Island. His origins in England are controversial and the date he settled on Long Island is hazy, but it is clear that he became one of the town’s leading citizens, and that he was probably my eight-times great-grandfather. Southold, near the northeastern tip of Long Island, New York, had fertile soil, protected coves and a strategic location on the Atlantic coast. The English negotiated rights to use the land from the local native people and a group of settlers from nearby New Haven moved there in the 1640s, making Southold one of the earliest English settlements on the island. William Wells was one of the community’s founding settlers, and his large tombstone, which survives today in the Old Burying Ground, attests to his success. A lawyer, he served at various times as town clerk, deputy constable and magistrate. In 1665, he represented Southold at the Convention of Deputies, assembled by the governor to adopt a code of laws for the Province of New York after the Dutch ceded New Netherland to England. He was subsequently appointed High Sheriff of New Yorkshire, which included the eastern half of Long Island. He was also a leading member of Southend’s Congregational Church. In 1878, Rev. Charles Wells Hayes, a genealogist from Portland, Maine, published William Wells of Southold and his Descendants, A.D .1638-1878. This book is the foundation of my knowledge of the Wells family history in colonial America.1 Three generations later, my branch of the Wells family moved to Goshen, New York, northwest of New York City, and the Orange County Genealogical Society holds several genealogies of the Wells family. Hayes acknowledged there is some controversy about William’s origins. According to Southold tradition, William was born in Norwich, England, where his father held a high position in the Church of England, however, some researchers have questioned this. William probably left England in 1635. This was a period of religious turmoil and political unrest in England that eventually led to civil war. William was part of what is called the Great Migration to America, although it is not known whether he left because of his religious beliefs or because he was looking for economic opportunities in the fledgling colony. Surviving documents show William was present in Lynn, in the Massachusetts Bay Colony, in 1638. He was in New Haven and Southold in 1639-40, and had settled permanently in Southold by 1649. William was married before 1650 to Bridget, the widow of Henry Tuthill, who had two children from her first marriage. She died about three years later. William married his second wife, Mary, around 1654 and they had seven or eight children. William died at age 63 on Nov. 13, 1671, signing a deed on the day of his death conveying his entire estate to his wife. Records from the period indicate he owned considerable real estate, and Mary also inherited four oxen, six cows, 27 sheep and five horses. Mary, whose maiden name may have been Youngs, was an extraordinarily energetic person and a talented business woman. After William’s death, Mary remarried. At the time, most women were subordinate to their husbands, but she conducted property transactions without her second husband’s permission. She died in 1709. The line from William and Mary to my three-times great-grandmother Elizabeth Thompson in Ontario goes from William sr. to his eldest son, William. William jr. married Elizabeth Tuthill in 1681 and they had four children. William died young (possibly in 1696, when he would have been 36,)2 and two years later, the widowed Elizabeth remarried. Elizabeth Wells married John Yelverton. 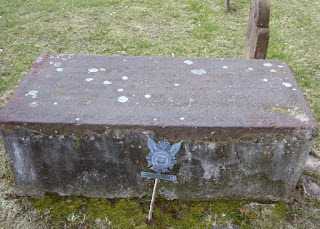 After he died, she married George Thompson in 1753 and they had eight children.4 Their son John Thompson and his wife, Catherine Bennett, moved from Goshen to Prince Edward County, Upper Canada around 1800. Elizabeth (also known as Betsey) Thompson was born in Canada around 1801 and married Thomas Rixon, a recent immigrant from England. 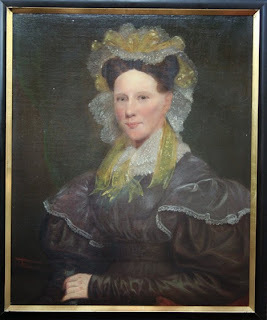 Betsey and Thomas Rixon were my direct ancestors through my father’s mother, Lillian (Forrester) Hamilton. Lilian was interested in family history, especially in her father’s ancestors’ experiences as pioneer farmers in Upper Canada and Manitoba. She would have been astonished to discover that, on her mother’s side, her ancestors included founding settlers of colonial America. Primary records for these places and periods are hard to come by, but the authors of the research I have cited here seem to have been serious. Rev. Hayes was a member of the New England Historical Genealogy Society and had access to the records of family members who still lived on Long Island in the late 1800s. I visited the Orange County Genealogy Society in 2015 and copied Wells family trees that had been prepared by several professional genealogists and family members. I might find out more if I ever rejoin the New York Genealogical and Biographical Society. Meanwhile, I cannot claim unequivocally that William Wells was my ancestor, but it seems probable. Writer Jacqueline Dinan has published an entertaining and informative book about Barnabas Horton, another founding settler of Southold. See: Jacqueline Dinan, In Search of Barnabas Horton, From English Baker to Long Island Proprietor, 1600-1680, New York: Pynsleade Books, 2015. The website associated with the book, barnabashorton.com, includes a number of additional resources. For more information about early Southold, see the Southold Historical Society, http://www.southoldhistoricalsociety.org/, and the Family Tree wiki page for Southold, https://www.familysearch.org/wiki/en/Southold,_Suffolk_County,_New_York_Genealogy. 1 Charles Wells Hayes, William Wells of Southold and his Descendants, A.D .1638-1878, Buffalo, N.Y.: Baker, Jones & Co., Printers and Binders, 1878. https://archive.org/stream/williamwellsofso00haye/williamwellsofso00haye_djvu.txt, accessed Jan. 1, 2018. 2 Walter M. Wells Jr. “William Wells of Southold, Co-Founder of Southold, Long Island, N.Y. in 1640, 1605-1671; His Descendants: Male and Female (and their spouses) if Born Prior to 1771,” First Edition, Santa Rosa, Ca: 1986. Compilation. Copied at the Orange County Genealogy Society. 3. 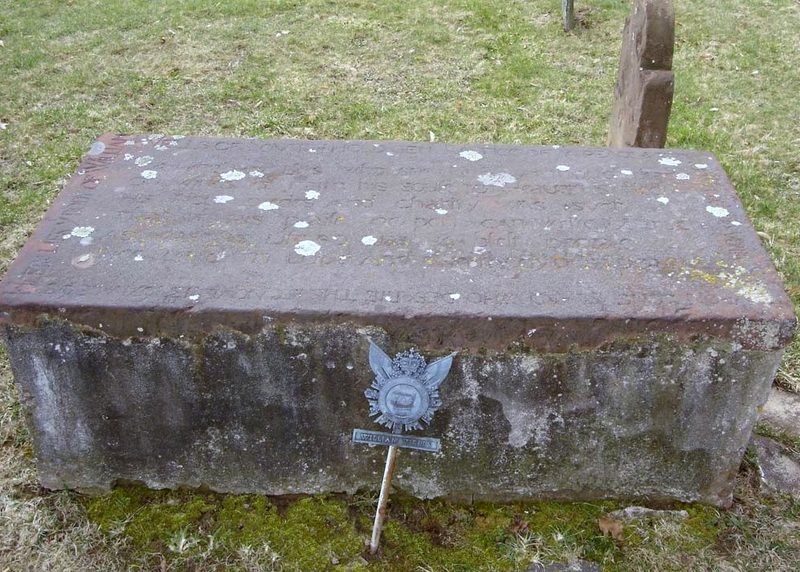 A second source also says Martha Payne was Elizabeth’s mother. It is a transcript of the 1864 notebook belonging to Walter Thompson in which he wrote the family genealogy. This transcript can be found in the Myrtle Edwards Collection (MEC) at the Orange County Genealogy Society, Goshen, NY.